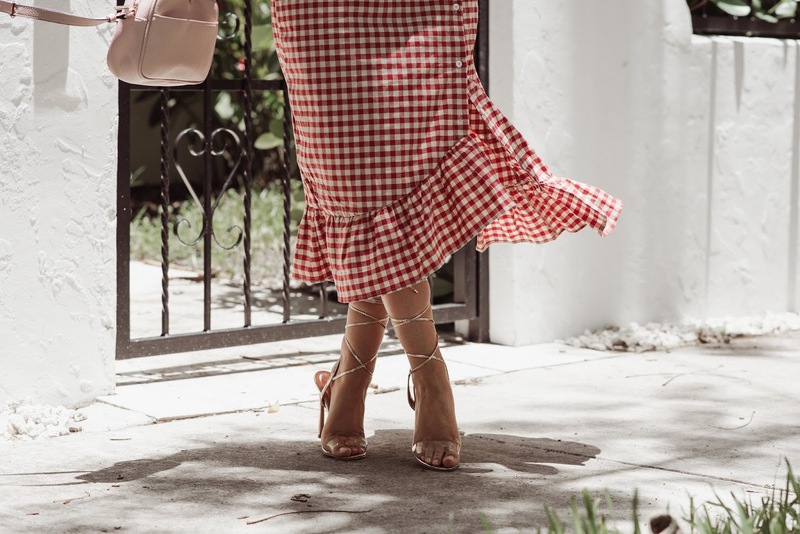 Gingham is back & in every form! It's this summers staple and I'm totally not hating that fact. The gingham print had its moment, and it came back revamped - you can wear it in so many ways. I feel like as every season goes by, my style changes but it keeps its basic form....If that makes any sense. I love mixing different prints and giving them my feminine twist (like the ruffle at the hem of this skirt). For this summer, my style has definitely been inspired by the South of France. Although I am dying to visit, I feel like this airy, feminine, fresh and effortless look is everything and anything I have been after. And, can we please mention how tassel earrings are having a MAJOR moment.... I'm guilty of saying I currently have like every color of tassel earrings in my shopping cart as of now. They're a great and easy staple to add into any look you may want to amp up. Any one else into the effortless look?